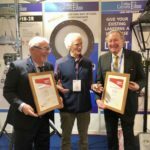 Frank Keohane, Managing Director, and Colm Egan, Technical Development Manager, of Litho Circuits being congratulated by Duncan Stewart, Irish Architect & Environmentalist, after their win at the SEAI Product of the Show 2018 (Lighting Category) for their product LED SOX-20-28-32 and also for receiving a Commendation for their product LED high Bay UF150DR. 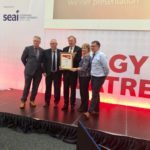 Litho Circuits are delighted to announce they have won the Product of the Show Award in the Lighting section for the second Year running with their Product LED SOX-20-28-32. Also achieving Commendation for their product LED High Bay UF150DR. 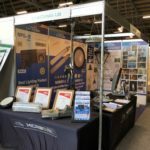 Visit us at the SEAI Energy Show on stand L13 to view our award-winning products currently running at the RDS Dublin.